When Inquisitor Osorkon arrives at a remote prison facility to retrieve a prisoner, it soon becomes clear that nothing is what it seems and that the tables will soon be turned. Who then becomes the prisoner? The origins of this story were a little more unusual, in that the background for it was already in place. This tale had a backstory already in place, courtesy of the Sabertooth Games Collectible Card Game. Each of the stories in the book were to centre around one of the races/armies involved in the conflict about to erupt in the Perdus Reach. 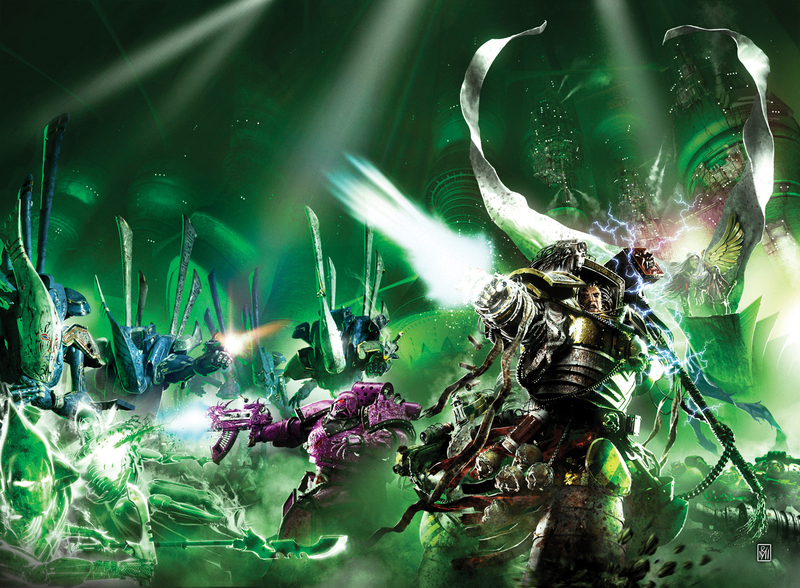 Having been heavily involved with the Horus Heresy series for the last few months, my head was still in a Heresy kind of place and so I decided to tell the story of one of the characters people have come to hate the most in the Horus Heresy books; Erebus. Again I didn’t want to just tell a straight battle story, but wanted to take what you thought was happening and flip it on its head midway through the story, and then again at the end. Or maybe I was inspired after watching a double episode of Prison Break. I forget.